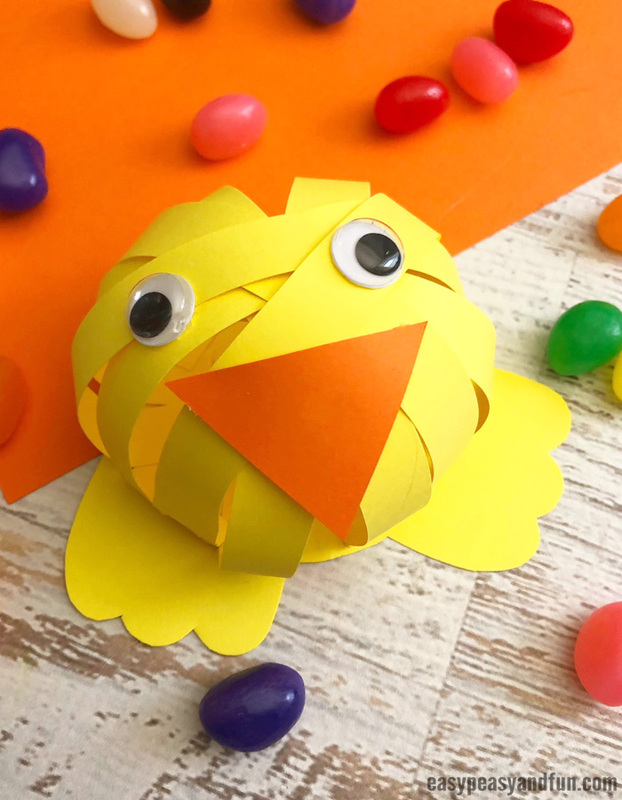 We just can’t get enough of little chicks and bunnies, so we have another simple Easter construction paper craft to share with you. 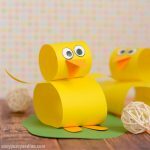 We’ll be making a chick and a bunny from paper strips, this time around, we’ve even got a handy template to go along with the project. 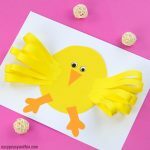 We already shared two similar Easter crafts like this one, the simple paper strips bunny craft and the little chicks, and as you loved them so much, we wanted to share another version – this one easily standing on it’s own. 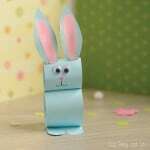 And the cute bunny (which will look even cuter if you stick a big pom pom on it’s but). 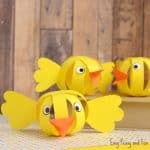 Such a fun little Easter activity to do. 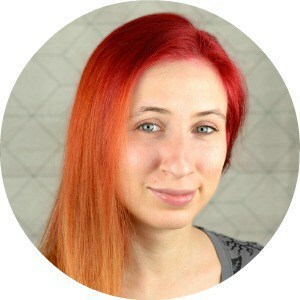 We’ll show you how to make this project without our template. 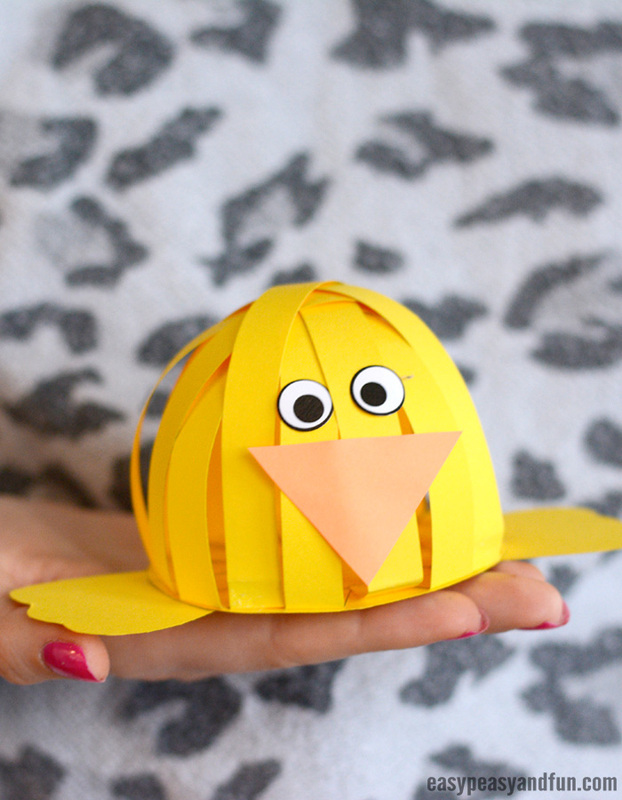 You can use an everyday object – bowl, lids or even use a compass to make your chick circle. 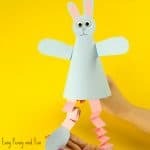 Trace the round object on yellow construction paper (or white if you are making a bunny – well or any other bunny suiting color). 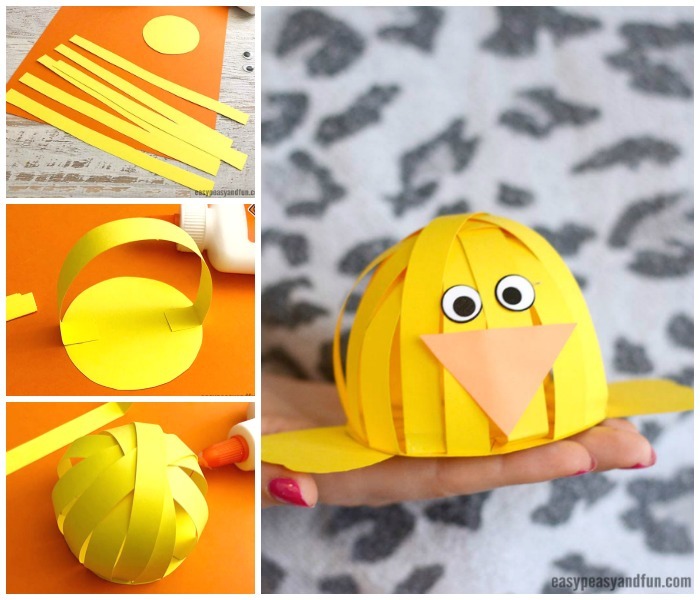 Cut strips of paper. 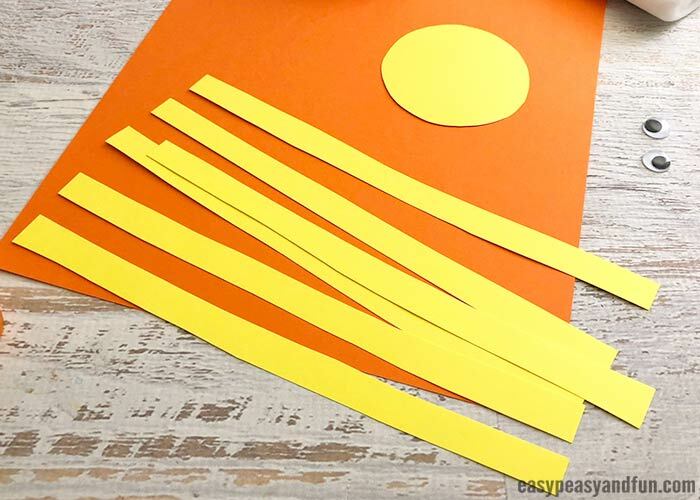 They should be about a “finger” wide, but nothing wrong if they are wider or thinner – younger kids will handle wider strips with more easy, while older kids might find it an interesting challenge with thinner strips of paper. 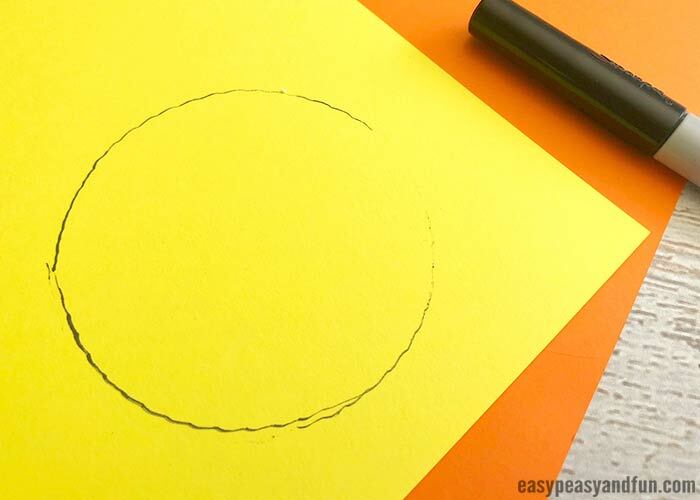 Take one strip of paper, bend and fold on both ends and glue on the circle base, making an arch. 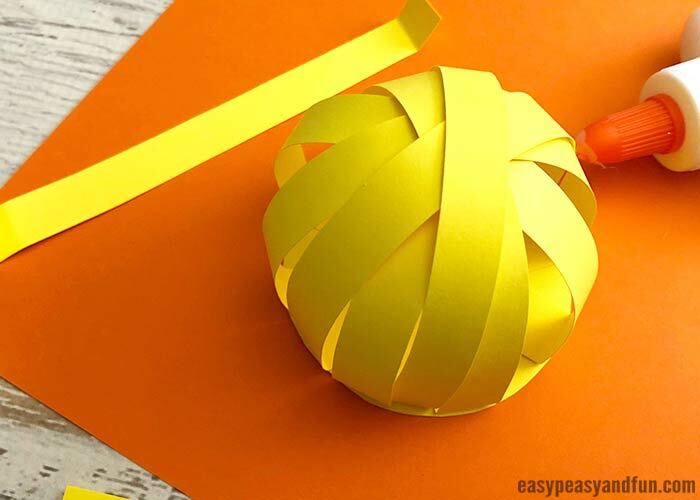 Continue with other strips of paper. 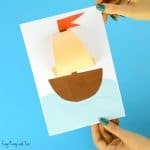 Most of them will be super easy to glue, the last one though might be a bit tricky! 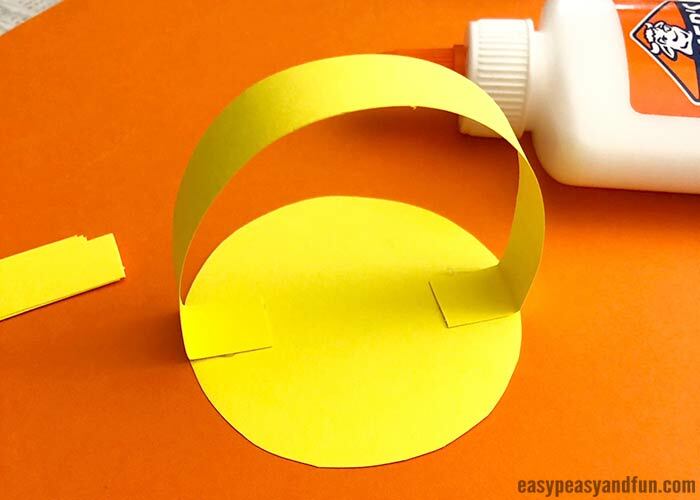 Glue dots are super helpful here. 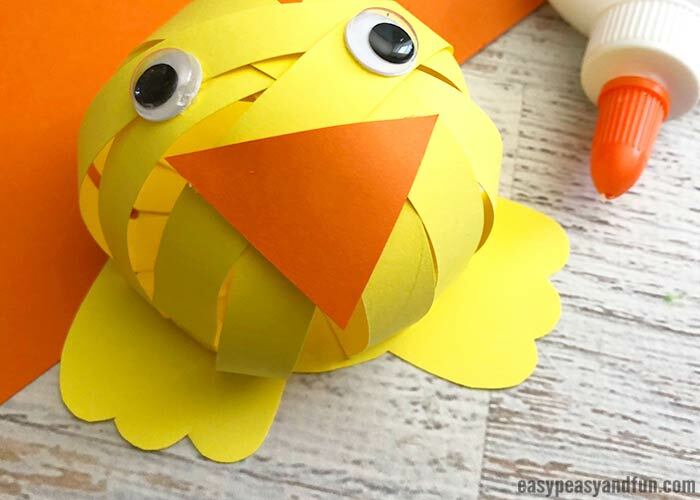 Cut all the necessary decorations – the beak, wings or bunny ears, nose and paws. 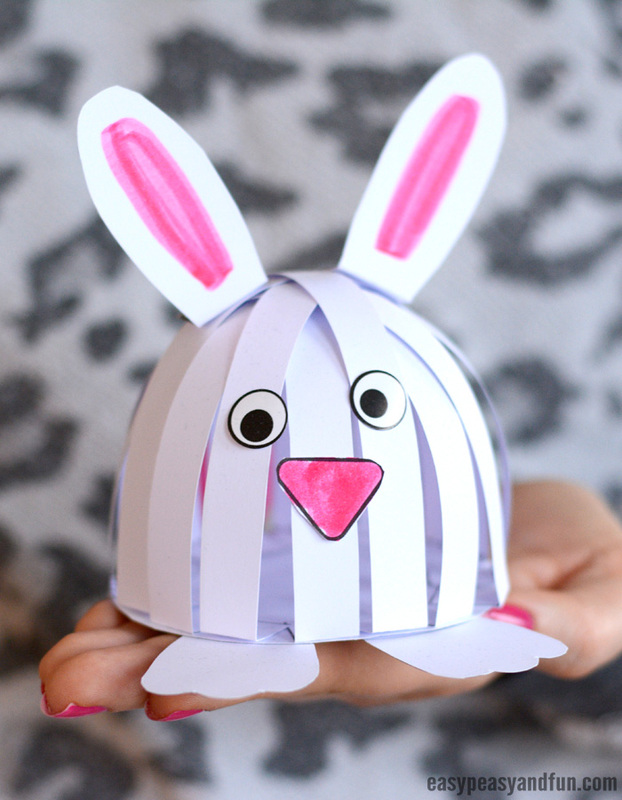 Don’t forget to color in the inner part of the bunny ear. 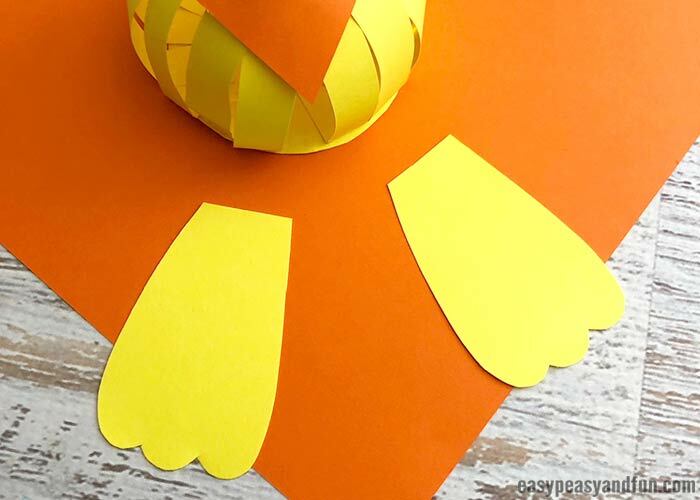 Glue all the parts on their designated places. Don’t forget to add the eyes! Either stick on two wiggle eye stickers or googly eyes.